16 ноября – это Международный день терпимости. 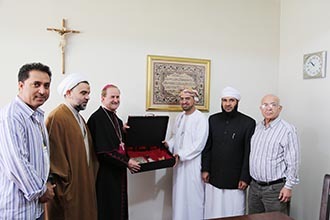 The 48th stop of ‘Islam Mission from the Sultanate of Oman's Exhibition organised by the Ministry of Awqaf and Religious Affairs was launched at Foz do Iguaçu in Brazil under the auspices of Reni Clovis de Souza Pereira, Mayor of Foz do Iguaçu, in the presence of Dr. Khalid bin Said al Jaradi, Sultanate’s accredited Ambassador to Brazil, members of the Brazilian parliament, representatives of Arab and Islamic communities, a number of businessmen, media men and university students. At the beginning of the launching ceremony, the Sultanate’s accredited Ambassador to Brazil delivered a speech where he said that this mission stresses the importance of joining all hands to ensure work peace and constructive living so that everyone can enjoy the fruits of fair comprehensive development. Reni Clovis de Souza Pereira, Mayor of Foz do Iguaçu, on his speech delivered on the occasion where he said that such stops help in enhancing cultural integration among peoples and will enhance the knowledge of Brazilians about Islam and Islamic culture. Rene Pereira, Mayor of Foz do Iguaçu stressed in his speech that such stops help increasing cultural and civilisation integration between peoples, and he called upon the Secretariat of Communications and Public Relations in Foz do Iguaçu to invite the largest number of students from all nationalities to visit this cultural stop. He emphasised that this cultural event will increase the knowledge of Brazilian to the culture of Islam. Mohammed bin Said Al Mamari, the Scientific Adviser at the office of the Minister of Awqaf and Religious Affairs and General Supervisor of the Foreign Exhibitions delivered the Ministry’s speech and hailed the support provided by the Brazilian officials to ensure the success of the exhibition. He pointed out that the exhibition displays the Sultanate’s experience in religious tolerance and peaceful coexistence with other races; a unique experience the world can benefit from and build upon. 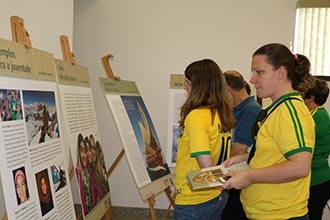 On Inivitation by the Shia community of Foz do Iguaçu, the Exhibition also was presented at the Omar Ibn Al-Khatab Mosque. Many visistors used this opportunity to get familiar with the Omani approach towards Islam and for talks with the Omani guests. There also was a fruitful meeting with the Catholic head of the City. 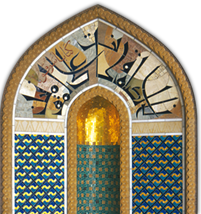 The Sunni community requested to present the exhibition in their space on July 5th. Also here many people came to improve their knowledge about Islam in Oman and life in the Sultanate today.